The final song on The Kids are The Same isn’t really a power pop song at all. 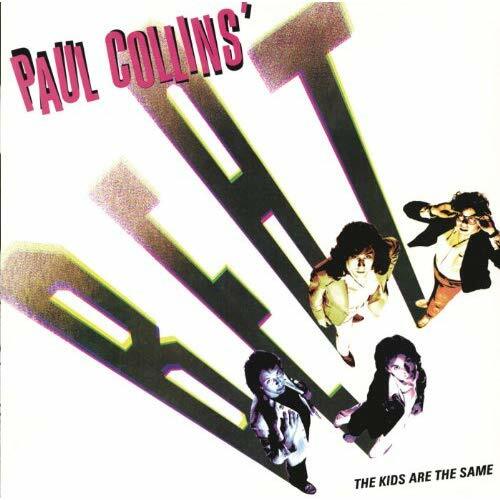 And fact, it’s a big generic rocker, cut more from the cloth of the dreaded “On The Highway” than the sublime “The Kids Are The Same.” And therefore, it only makes sense that it’s also my favorite song from the original incarnation of the Paul Collins Beat, as well as a song that I never really get sick of. Basically a break-up song, “I Will Say No” starts off with Paul getting his heart broken by the same woman again and again, so he finally puts his foot down. Not much on paper, right? But it’s all about how the rest of the band comes in with the harmonies on “every tiiiiiiiiiiiiiiime you come back to me.” It’s as gorgeous and melodic and I love how it resolves every single time. In the end, lead guitarist Larry Whitman takes over, and the last minute of “I Will Say No” is a long guitar solo that is equal parts too much flash and too much melody. It’s a long way from the short, concise songs of the debut, and yet it works on its own terms, too. After The Kids Are the Same, Paul Collins followed it up with the To Beat or Not To Beat EP, which I don’t remember a damn thing about, and I kinda lost track of him for awhile, though he’s continued to put records out. I haven’t heard most of them, but I did drop back in to check out 2010’s worthwhile King of Power Pop!, which has an a agreeably retro sound, and delivers exactly what the title promises.